It's a lifting technique designed to give you longer-looking lashes without the need for lash extensions. It will look as if you used a really good eyelash curler, only this lift lasts for 8 to 10 weeks! To top off the treatment, I'll apply a black lash tint which really makes your lashes look more prominent. The procedure takes about 45 to 60 mins to complete. It really is an easy way to instantly brighten and open up the eye area! Why would I get this over lash extensions? Lash extensions and lash lifts are 2 totally different animals. Lifts do not add any additional lashes. We will simply be curling your natural lashes. If you lack the fullness you desire, the extensions are definitely the route you should go. If it simply comes down to wanting length and more curl, try the lash lift, a tint and a few months of our RevitaLash serum and see what you think. You will be thrilled with the results! And the best part is, you can do still get a lash lift while wearing lash extensions! PLEASE ARRIVE TO YOUR APPOINTMENT COMPLETELY FREE OF EYE MAKE UP! If you wear contacts, they must be removed. Pretty simple: Don't get your lashes wet or apply anything at all to them for 24 hours. None at all! You don't have to do anything special with your lashes in between lifts. Of course! After waiting 24 hours, you'll just achieve a more dramatic effect when mascara is applied to your curled lashes. 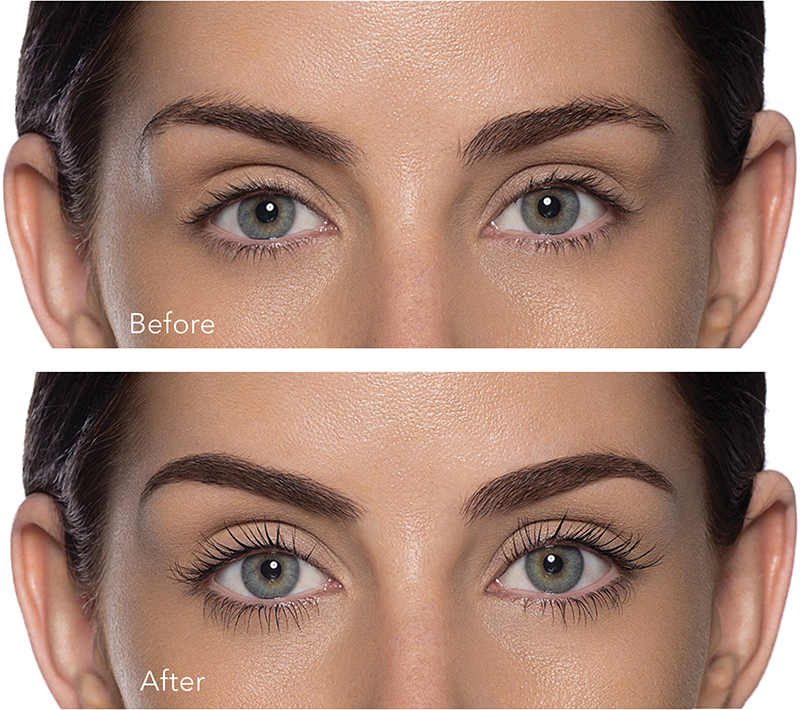 Our eyelash techs are trained in the Australian Elleebana Lash Lift. No. The lifting solutions are only applied to the new growth area of the lashes, down towards the base and up a bit. Never to the ends of the lashes. It's very difficult and sometimes not possible to sustain the curl with lashes that have a strong cowlick or slanted growth pattern. Also, growth patterns due to plastic surgery in the eye area are often not able to be corrected. Give the treatment a shot once, and let's see how your lashes hold the curl. I use RevitaLash®. Can I get this treatment? Yes. Some of the most dramatic results I've achieved have been from those using RevitaLash® because their lashes are already so long. Depending on the length and quality of your natural lashes, the lift can last for 8 to 12 weeks. Most of the time, yes. Though it can be challenging if the lashes aren't even long enough to bring up and back on to the shield. But again, start with our RevitaLash regimen for a few weeks then come in for your lift and tint and see what you think. If ever in doubt, always consult with your physician. So why should I choose your Elleebana brand?